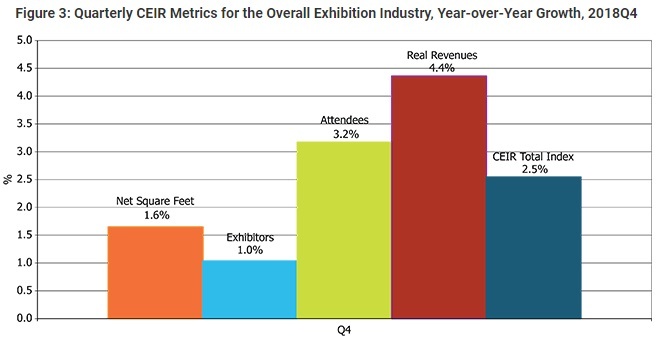 2018 was a record year for the trade show industry according to CEIR. They believe even more people will attend trade shows and expos in 2019. According to Statista, the trade show/expo industry will be worth $16.8 billion by 2021 (up from 13.2 billion in 2017). Lots of growth, interest and business generated, and what’s the attraction? Trade shows are key events for many businesses to connect with their customers (and a legitimate place to take some selfies). 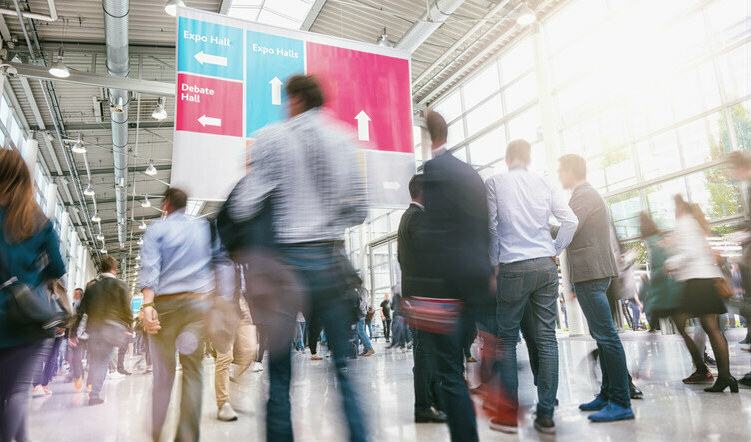 Certainly, when it comes to high value, high involvement purchases, including starting new businesses and major tech upgrades, a trade show is a must attendance. For property management pros it’s no different – there’s lots to learn. 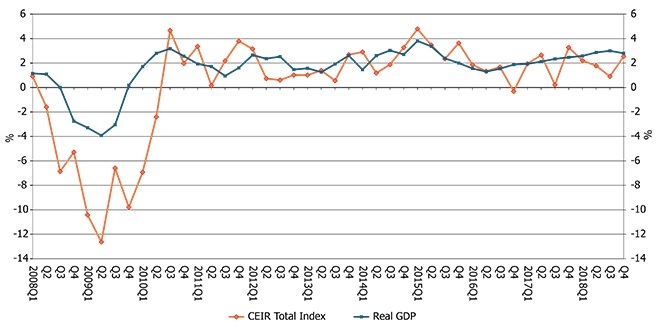 As the pic below reveals, trade show activity corelates with overall economic activity and optimism. Attendees often have expectations of future business growth, new product/service purchases, and growth expectations. The shows indicate sectors are evolving. New products and services are vital and in real demand. There is a perception that expos and trade shows are about hyped promotion. In reality, they’re about the joy of being in a particular industry and celebrating connections. People travel big distances to attend events, because they want to feel they’re on top of things in their business and they want to know about important trends in technology and product introductions. Chances are, at some point in the next few years, you will be using new software for your business. Talking to experts will help you make better decisions. And your staff will feel more connected to the business you’re in, and learn about services, products and new technology in the industry. How staff experience their jobs and careers is important. For businesses such as ManageCasa, trade shows are a key way to connect with high quality rental property owners, landlords, property management pros, building and facilities managers, and HOA managers. Attendees are typically active and growth minded. And they rate the opportunities to meet face to face with B2B vendors high. Those who attend events (e.g., Cooperator Expo Chicago, Cooperator Expo New Jersey and Apartmentalize Denver) are looking for knowledge about systems, software, devices, etc to grow their ROI. Those who don’t attend trade shows might be in a status quo mode, not expecting growth or any changes coming. However, we know 2019/2020 will bring changes. Smart property managers and investors want to stay on top of trends. There’s a lot going on with the economy, regional business growth, new construction, and demand for rental units. ManageCasa is eager to connect with the best in the property management sector. When business went virtual and digital, connections with customers weakened. While modern software tries to build personalization and customer engagement, it can only go so far online. Property management companies need to connect personally with contractors, tenants, and landlords. Trade shows are perfect for that. When people attend events they get introduced to products and services they wouldn’t find online or see on TV. At an event, people connect and get to share their experiences, hopes and challenges. Those conversations are often more informative and meaningful. A short conversation with property management professionals can help landlords, contractors, investors and tenants get more quickly oriented. People go to trade show to get informed and to enjoy the spirit of business. We’re sharing enthusiasm and building connections. 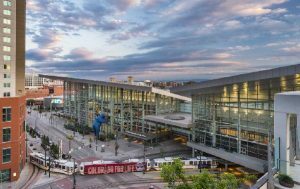 Check out this list of major property management expos and tradeshows for the year ahead.